Prime District 4, right in the heart of the city, big and spacious condo, full condo facilities, partially furnishing. Teresa Villa along Lower Delta Road, at Mount Faber, near Vivo City and Sentosa. Minutes to Orchard Road, Central Business District, right beside the expressway, convenient with nearby MRT at Tiong Bahru or VivoCity. Low floor, 4 bedrooms plus 1 maid`s room, 3 bathrooms, Balcony, split level for Living & Dining and a Huge Kitchen. Asking for $5700, call 97896505 immediately. Teresa Ville is a freehold development located at 1001 Lower Delta Road, Singapore 099307, in District 04, minutes ride from �����Tiong Bahru MRT Station pleted in 1986, it comprises 264 units. 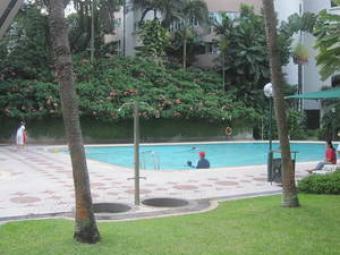 Teresa Ville is close to the Singapore General Hospital and Mount Faber Park. Facilities at Teresa Ville include swimming pool, BBQ pits, tennis and squash courts, clubhouse, function room, playground, and a mini-mart.